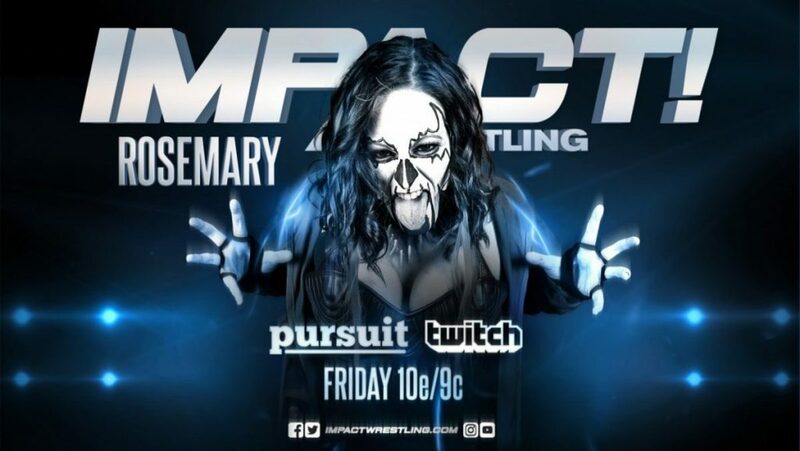 Impact had hyped that a "returning former champion" (which ended up being Rosemary) would be revealed on the Press Pass podcast. Josh Alexander, who's signed a three-year deal with Impact, was another guest on the show. Rosemary has returned to action after suffering a torn ACL in 2018. On television, she's been involved in a storyline with Su Yung & Dark Allie over Allie's soul. Rosemary, Kiera Hogan & Jordynne Grace faced Yung, Dark Allie & The Undead Bridesmaid in a six-woman tag match at this month's Impact TV tapings in Las Vegas. Rosemary has held the Knockouts title one time. She was champion from October 2016 to July 2017. Impact also announced this month that Eddie Edwards, Sami Callihan, and Fallah Bahh have signed new contracts with the company.